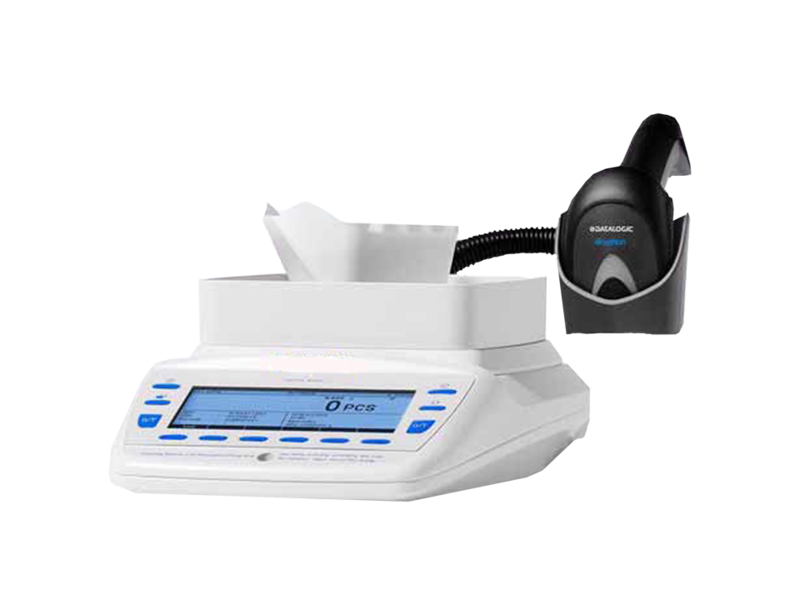 AccuCount II is a cost-effective table-top device with the precision to accurately weigh oral solids in seconds. Pharmacies needing efficiency gains in dispensing or inventory management rely on Parata for the standard in pharmacy scales. Simply scan the stock bottle’s barcode to begin. Suitable for counting oral solids or aiding the preparation of compounded medication, AccuCount II is the versatile solution with unrivaled precision. AccuCount has a 620 gram capacity with 1-milligram readability and is Class II NTEP certified, as required by most states. AccuCount uses Swiss weighing precision, so you get accurate counts even without scanning bar codes and without external weights to calibrate, making it easy to select a sample size. With the scale in weighing mode, it’s easy to accurately prepare compounded drugs to provide customized medications to your patients. And you’ll never appreciate your AccuCount more than when it’s inventory time. Its barcode scanning and high counting speed provides accurate drug counts in just seconds. AccuCount II has a new graphical interface with on-screen instructions for ease of use and a 12-key control panel, including multi-functional keys. With its USB port and the option to connect a keyboard, AccuCount can share data by connecting to a computer in your pharmacy. Take a look at our full suite of vial filling technology solutions.